There is an urban legend behind this recipe that can be found here. Whether it's true or not, I'm glad this recipe made it into my hands. This recipe makes a TON of cookie dough (the recipe below has been halved). Dough can be frozen as well. Happy baking! 2. Cream together butter and sugars. Add eggs (one at a time) and vanilla; mix to combine. 3. Meanwhile, in a large bowl, whisk together flour, oats, salt, baking powder, and baking soda. Slowly add dry ingredients to wet ingredients and mix well. 4. Add chocolate chips, grated chocolate (and nuts, if desired). 5. 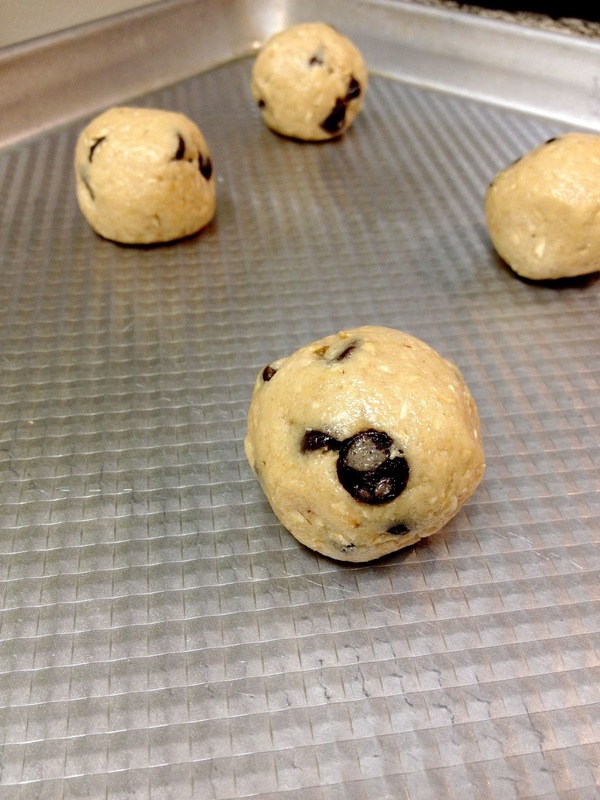 Roll into balls and place 2" apart on an ungreased baking sheet. 6. Bake for 6-8 minutes. Once baking is complete, remove the pan from the oven, let cookies cool for 2 mins; then transfer to a wire rack for cooling. I'm always searching for healthy dips. 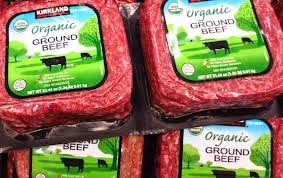 My friend Lindsey gave this to me several years ago ~ it's extremely easy to prepare and tastes delicious! 2. In a food processor, pulse the first 4 ingredients together. Add the cheese and garlic powder and pulse until completely combined. 3. Spoon mixture into a shallow glass baking dish and bake for 20 mins, until brown and bubbly. 4. 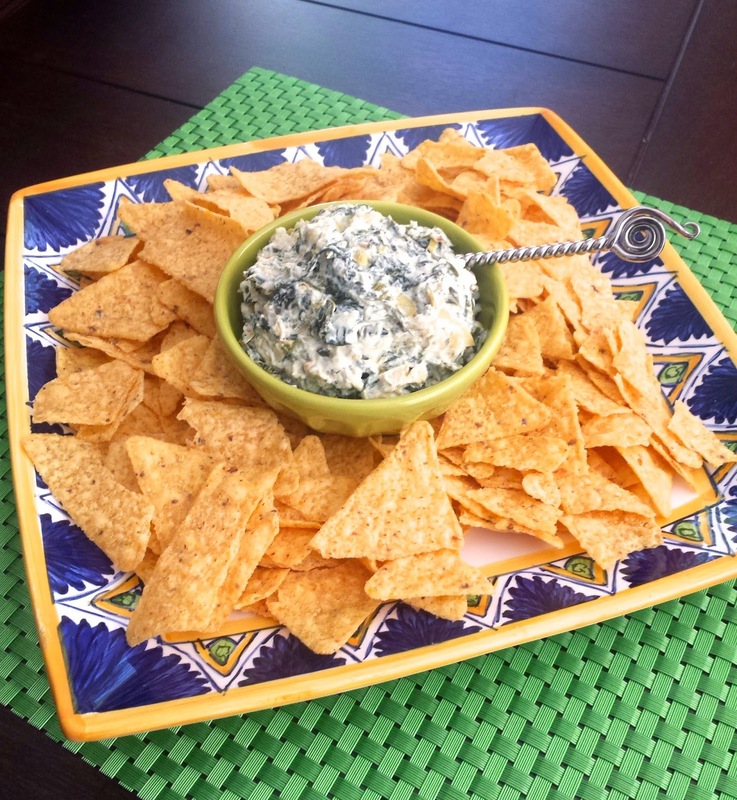 Serve immediately with chips or crackers. Tested and true, this one's super simple to do! This dish is definitely a new FAVORITE - a little chopping time is involved, but it's quite simple to prepare. I was very pleased with the way these turned out, and they're even better the next day (that is, if there ARE any leftover!) I did have a little extra "filling", which I used to make breakfast tacos (as you may have guessed - they were delicious!). It also makes a pretty tasty topping for tacos, too. You know how much I love me some versatile dishes! 1. Preheat your oven to 400º. 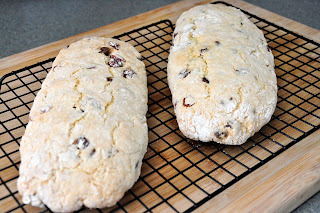 Spray an oven-safe baking sheet/pan with cooking spray and set aside. 2. Wash the zucchini, then pat dry. Chop off the ends and slice each one in half (lengthwise). With a spoon, scrape out the middle of each, and reserve the "guts" for the next step. 3. Dice the onion, pepper, and zucchini guts. Place a dutch oven, or skillet, over medium-high heat. 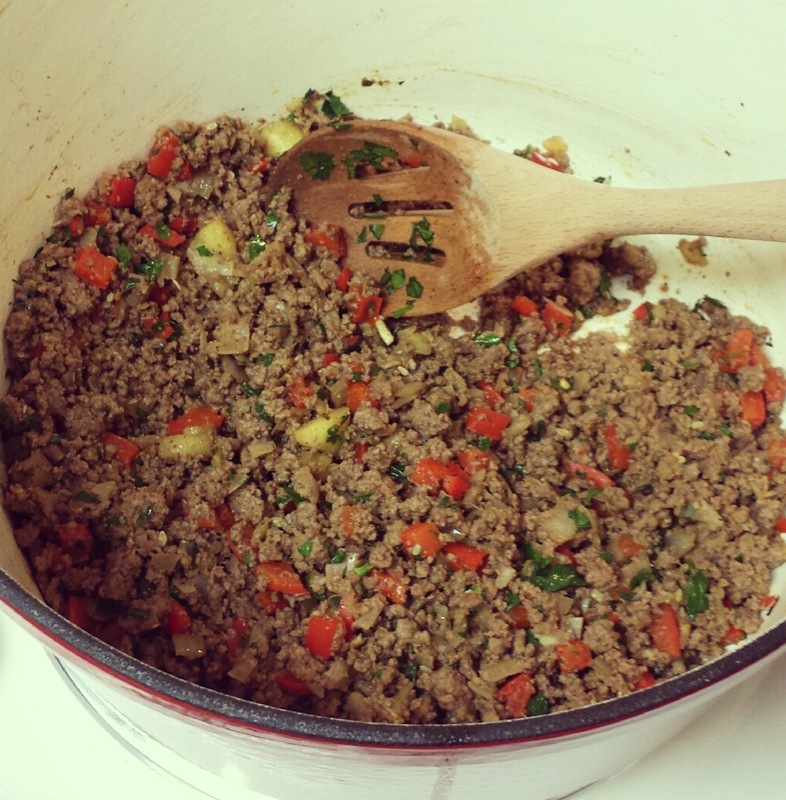 Brown the ground beef, onions, peppers and diced zucchini until the beef is no longer pink. 4. Drain the fat from the dish, then place the mixture back in the dutch oven. Add the water and taco seasoning, and stir until combined. Simmer for a few minutes until the seasoning is equally distributed. 5. Meanwhile, chop the parsley and green onions. Add the parsley to the dish, and mix well. Reserve the onions for the last step. 6. 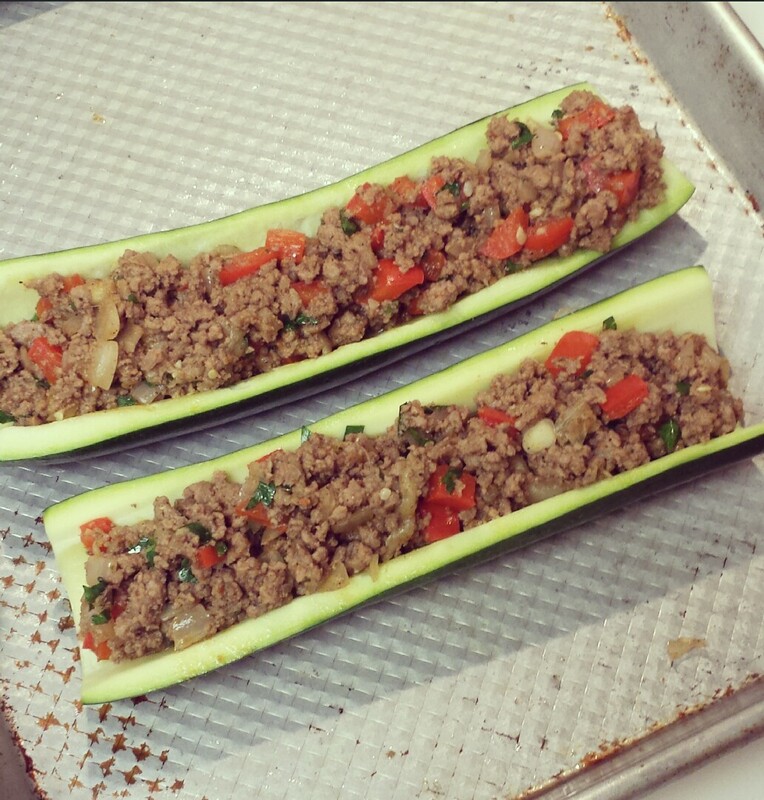 Spoon your prepared mixture into each zucchini boat, then bake for 30-40 mins. 7. Remove pan from oven, and turn the heat off. Sprinkle each boat with mozzarella cheese, then return to oven for 3-5 minutes so the cheese can melt. Top with green onions and serve. This banana bread muffin recipe is quick and simple to whip up -- and even better, no mixer required! 1. Heat oven to 375º. 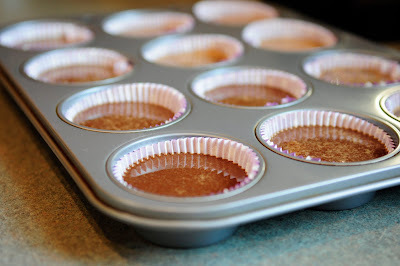 Line muffin tin with cupcake liners, or spray with cooking spray and set aside. 2. In a medium bowl, whisk together eggs, oil and sugar. Add the mashed banana and vanilla and whisk until combined. 3. In a small bowl, combine flour, baking soda, salt and cinnamon. Add dry ingredients to wet by slowing whisking to incorporate. 4. Scoop batter into each muffin tin and fill about 2/3 of the way full. Bake 16-18 minutes or until a toothpick inserted into the center comes out clean. 5. Remove muffins from the pan and place on a cooling rack. 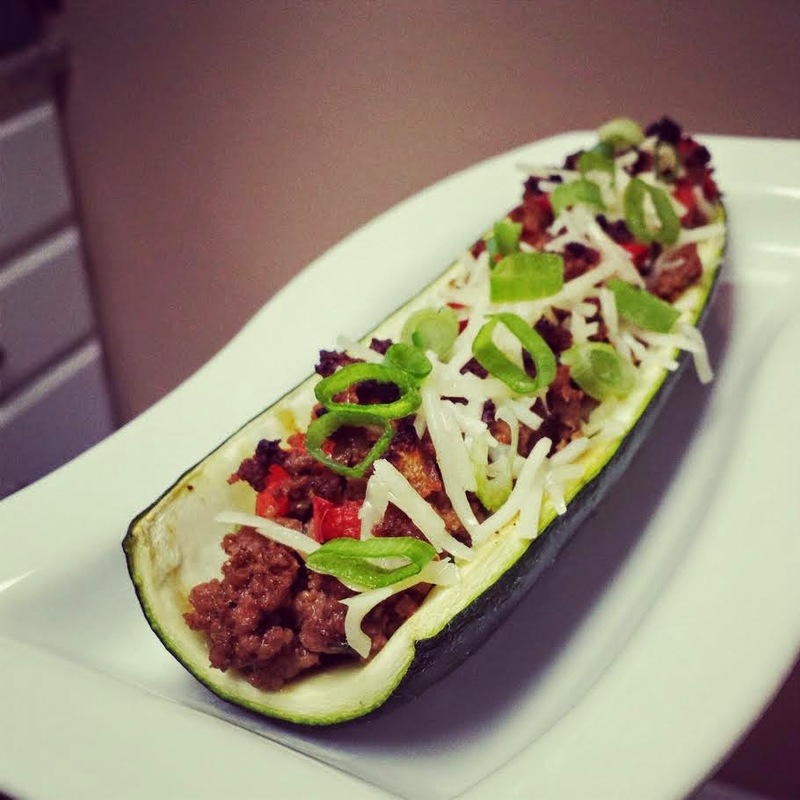 This recipe was inspired by one of my favorite food network chefs, Giada de Laurentis. In her original recipe, she has a few more ingredients and uses it as a crostini topper. I will try that recipe one day and let you know how it goes, but for now, make it as a light and tasty dip! The great thing about this recipe is that it can be served warm or at room temperature. 1. In a food processor, combine all the ingredients except the olive oil. Pulse until the mixture is chunky. With the machine running, slowly add the olive oil until all ingredients are incorporated. The dip is naturally salty, so serve with plain crackers. I wasn't sure how I felt about mixing avocados and mangoes together, but I must admit - I was pleasantly surprised. I found this recipe while I was searching for "Carribean themed appetizers" and thought I'd give it a try. Guacamole is always a great dish for large groups of people. This guacamole was a huge hit and was super easy to prepare! (It has a little bit of a kick to it - so if you want to reduce the spiciness, use jalepenos or omit the peppers altogether.) Don't you just love how pretty this dish is? I love the bright colors! 1. Halve and pit avocados. Scrape contents of avocados into a large mixing bowl, then mash with potato masher or the back of a large spoon. Stir in onion, chilies, salt and lime juice. Fold in mangoes and cilantro. 2. Garnish with cilantro, crushed red pepper and lime wedges. Serve with pita chips or tortilla chips. 3. Guacamole can be refrigerated up to 4 hours in advance. Cover tightly with saran wrap and refrigerate. Bring to room temperature before serving. In a food processor, chop artichokes. In a large dutch oven or pot, set heat to medium. Combine all ingredients, and stir until cheese is completely melted. 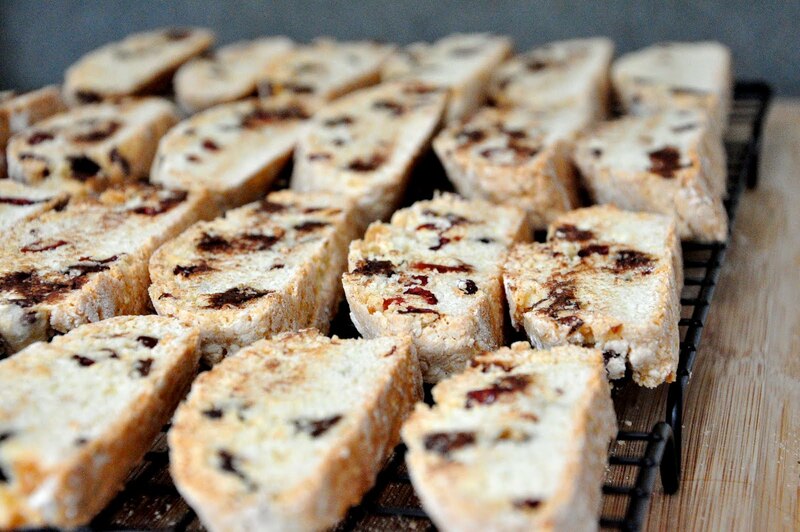 Serve hot with tortilla chips or melba toast. 2. Place artichokes and cheese in a food processor and pulse until finely grated. Stir in mayonnaise. 3. Pour dip into a shallow baking dish and sprinkle with paprika. Bake for 25-30 mins, or until lightly brown and bubbly. 4. 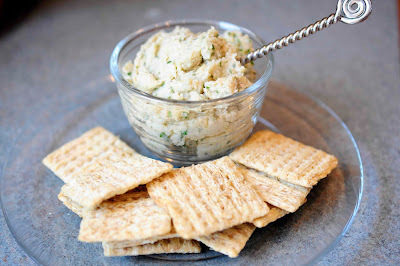 Serve with mild wheat crackers. Who doesn't love a sweet & salty combo? 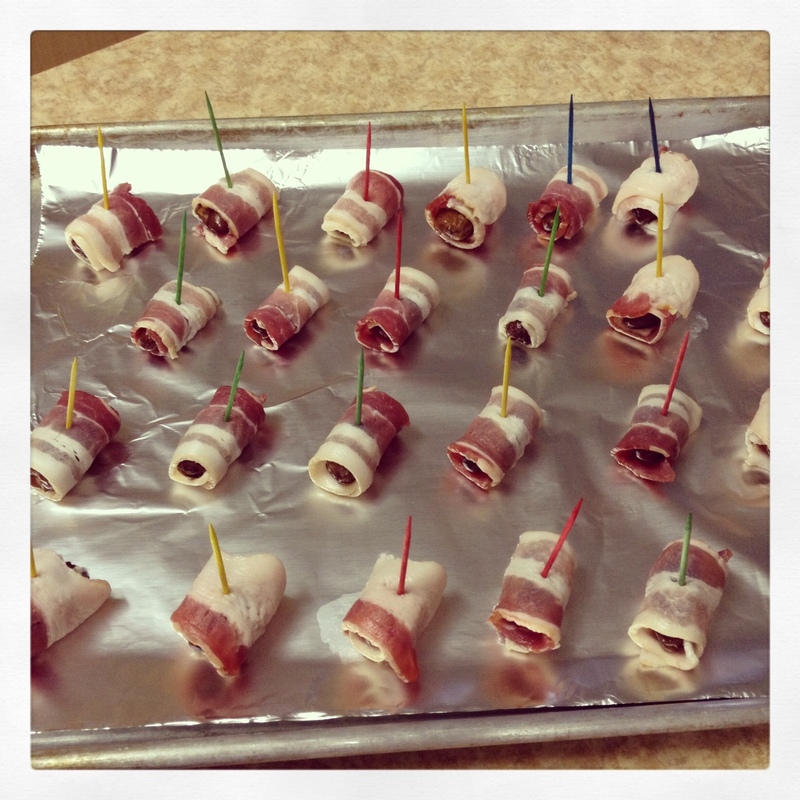 And, isn't anything better when it's wrapped in bacon?? These are so easy, and are always a huge hit. I promise you won't disappoint if you show up to a party with a plate full of these bad boys. You will notice that I have only posted the "before" pic - ("Why" you might ask?) They're definitely not the most attractive appetizer once they've been cooked . . . but looks can be deceiving! 1. Preheat oven to 350º. Position oven rack in the center of the oven. Cover a cookie sheet with aluminum foil, and set aside. 2. Cut each slice of bacon into thirds (depending on thickness, you just want a strip large enough to wrap around the date). Roll each date in a piece of bacon, place seam-side down on the baking sheet, and pierce with a toothpick (to hold it in place). Repeat until all the dates are wrapped in bacon. 3. Bake for 20-25 minutes, or until crisp. Let cool for 10-15 minutes before serving. These are great served at room temperature too and travel really well! 1. Preheat oven to 350º. Spray baking sheets with cooking spray; set aside. 2. Combine flour and next 5 ingredients in a large bowl. 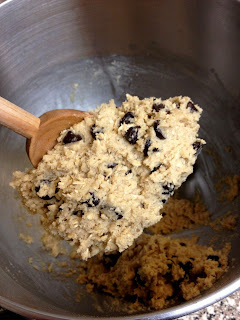 Combine oil, extracts and eggs; then add to flour mixture, stirring until well blended (dough will be dry and crumbly). Turn dough out onto a lightly floured surface; knead lightly 8 times. 4. Bake at 350º for 35 mins. Reduce oven temperature to 325 degrees. Remove rolls from baking sheet and cool for 10 mins on wire rack. Cut each roll diagonally into 15 (1/2" thick) slices. Place slices, cut sides down, on baking sheet. Bake 10 mins. Turn cookies over and bake an additional 10 mins. (cookies will be slightly soft in center but will harden as they cool). 5. 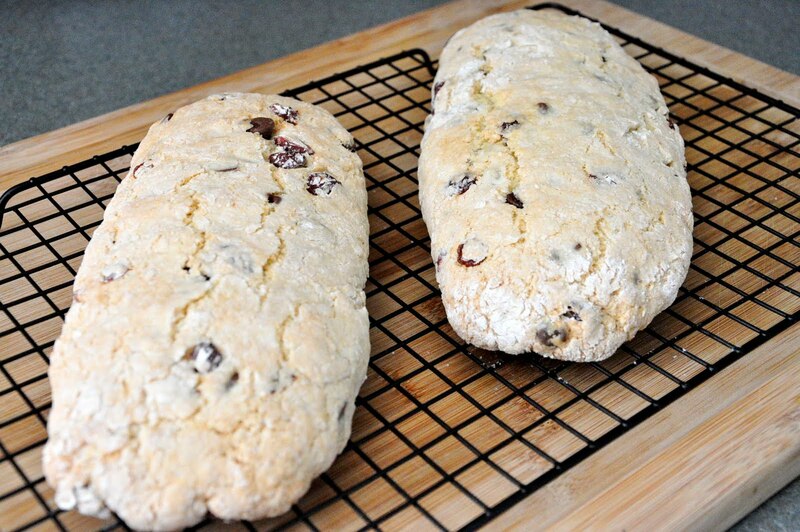 Remove from baking sheet; cool completely on wire rack. 1. Cover a baking sheet (preferably one with sides) with parchment paper and set aside. 2. Pop popcorn, and pour into a very large bowl. Be sure to remove any unpopped kernels before doing so, so no one breaks a tooth! Measure out the pretzels and break into small pieces with your hands. Add to the bowl. Toss in almonds (or peanuts, whichever you decide to use) into the bowl and gently fold together. Set aside. 3. In a large microwave safe bowl, melt the butter (should only take about 45 seconds or less). Stir in brown sugar, light corn syrup and salt. Mix well. Microwave mixture for 2 minutes, stir; then immediately return to microwave and cook 2 more minutes. Remove from microwave, whisk in the vanilla and baking soda and stir until frothy (about 10-15 seconds). *Note: Even though you're going to do it anyway, try NOT to stick your finger in the caramel sauce to taste it - it's friggin HOT and it WILL burn you! 4. Pour hot caramel sauce over the popcorn mixture and gently stir until it's all evenly coated. Turn the mixture out onto your prepared baking sheet. Spread out in a thin layer. 5. Meanwhile, measure out the milk chocolate into a microwave safe bowl. Cook for 30 seconds, then stir. Repeat, cooking in 30 second intervals (you'd be surprised how easy it is to burn chocolate!) until chocolate is melted and of good spreading consistency. While it's still warm, pour the chocolate into a ziplock baggie, seal, and cut off the tip of the corner of the bag. Drizzle the melted chocolate over the popcorn. Repeat this step with the white chocolate. 6. Place the pan in the fridge for about an hour (or two), or until the chocolate hardens (the harder it is, the easier it will be to break into pieces). Store in an airtight container. This is a very simple recipe, but looks like a gourmet dessert! You could make brownies from scratch if you want, but who has time for that!? 1. Preheat oven to 350º for glass or metal pans, 325º for dark pans. Lightly grease 8x8" baking dish with cooking spray and set aside. 2. In a large bowl, mix together brownie mix, egg, water, applesauce and contents of fudge sauce. Stir until well blended (about 50 strokes). Pour into prepared baking dish. 3. Bake for 33 mins - you can always add a few mins if center has not set. (Add 3-5 mins if using a dark pan.) Brownies are done when toothpick inserted in center comes out clean. Cool completely in pan on wire rack before cutting and serving. 4. To serve, cut brownies into squares and put on plates. Nuke for 15-20 seconds each, so brownies are hot. Scoop out ice cream and place on top of brownies. If desired, add a spoonful of cool whip on top of ice cream. Drizzle with Hershey's syrup, then sprinkle with mini chocolate chips. Serve warm. You can make brownies up to 2 days in advance. Just cover and store in the refrigerator, once they're completely cooled. Then heat squares in the microwave 30 seconds or so before serving. 1. Beat first 3 ingredients at medium speed with electric mixer until creamy. 2. Gradually add powdered sugar alternately with 3 Tbsp milk, beating at low speed until blended and smooth after each addition. 3. If desired, beat in remaining 1 Tbsp milk, 1 tsp at a time, until desired consistency. 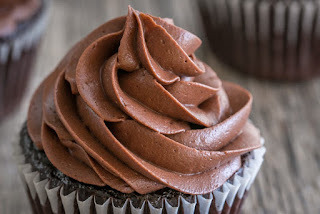 These were, BY FAR, the BEST homemade chocolate cupcakes I've ever tasted! This recipe was inspired by Glory from Glorious Treats. Thank you, Glory! You are my newest favorite cupcake baker! I am so excited to share my version, which I tweaked just a teensy bit. She is way more experienced in the cupcake world, so I didn't wanna stray too far away from her original recipe. So...here we go! 1. Preheat oven to 350º. 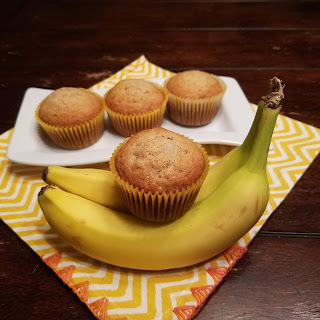 Line muffin tins with paper liners. 2. In a large mixing bowl fitted with the paddle attachment, stir together sugar, flour, cocoa, baking powder, baking soda, and salt. 3. Add eggs, milk, applesauce, and vanilla. Beat on medium speed for 1 min. 6. 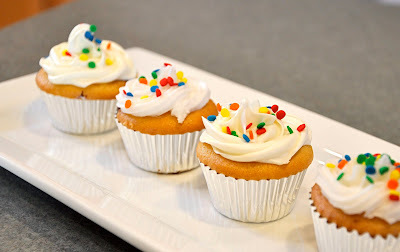 Bake cupcakes for about 22-24 mins. 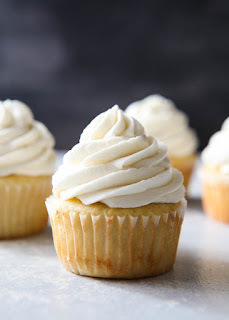 Cupcakes are done when a toothpick inserted in the center of cupcakes comes out clean. 7. Remove tins from oven and place on wire racks to cool. Make sure cupcakes are completely cooled before frosting. Frost with your favorite frosting . . . a couple to try are: peanut butter frosting, chocolate buttercream frosting, or vanilla buttercream frosting! 1. Line the bottom of an 8x4" loaf pan with plastic wrap. 2. Place the first 5 ingredients in a food processor and pulse until smooth. Spread 1/3 of cheese mixture in bottom of prepared pan. Top with pesto sauce. Then, carefully spread 1/3 of the cheese mixture over the pesto layer. 3. 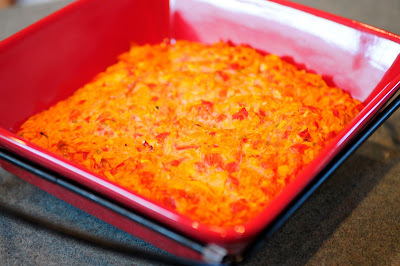 Top cheese layer with sun-dried tomatoes; then top with remaining cheese mixture. Cover and chill for 8 hours before serving. 4. When ready to serve, invert pan onto a serving plate, then discard plastic wrap. Garnish with fresh oregano leaves and sun-dried tomatoes, if desired. Serve at room temperature. 3. Meanwhile, in a large bowl, whisk together flour, oats, salt, baking powder and baking soda. Slowly add dry ingredients to wet ingredients and mix well. 6. Bake for 6-8 minutes. Once baking is complete, remove pan from oven, let cookies cool for 2 mins; then transfer to a wire rack for cooling. 1. In a medium bowl, sift together powdered sugar and cocoa; set aside. 3. If necessary, adjust consistency with more milk or powdered sugar. 1. In a small bowl, combine all ingredients, except olive oil. 2. 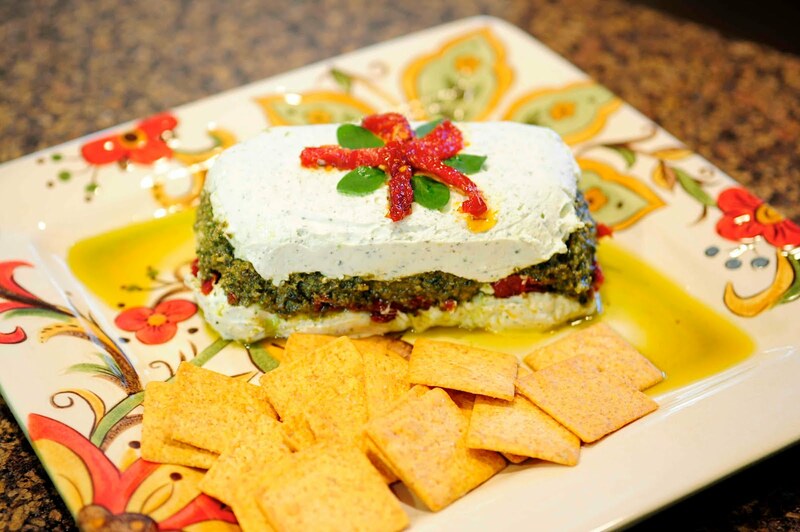 Drizzle 1-2 Tbsp of olive oil onto a small appetizer plate and scoop about 3/4-1 tsp of the herbs over the olive oil. 3. Serve with sliced bread. 1. Preheat oven to 325º. Line cupcake pans with paper liners; set aside. In a large mixing bowl, combine flours, sugar, baking powder and salt; mix on low speed until combined. 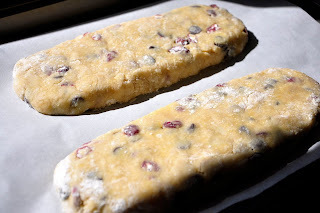 Add butter, mixing until just coated with flour. 2. In a large glass measuring cup, whisk together eggs, milk and vanilla. With the mixer on medium speed, add wet ingredients in 3 parts, scraping down sides of bowl before each addition; beat just until ingredients are incorporated. 3. Divide batter evenly among liners, filling about 2/3 of the way full. Bake for 17-20 mins, rotating the pan halfway through -- until toothpick inserted in center of the cupcakes comes out clean. 4. Transfer pan to wire rack to cool completely. 5. 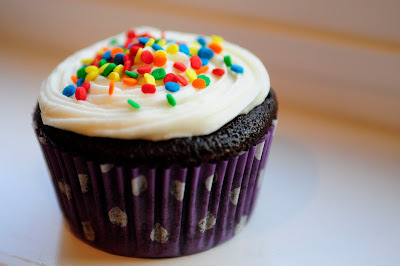 Once cupcakes are completely cooled, ice with vanilla buttercream frosting or chocolate buttercream frosting.